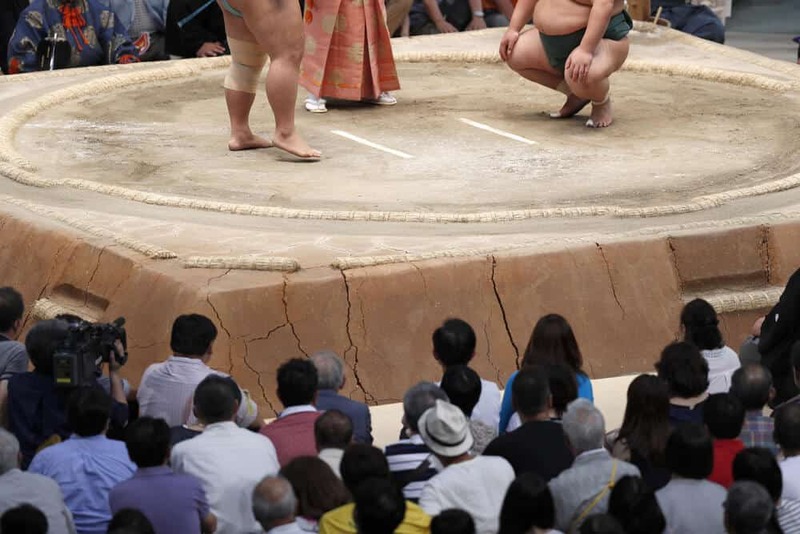 Watching sumo in Tokyo (or anywhere) live is a highlight of any trip to Japan — even if you’re not a sumo fan. Sumo is Japan’s national sport. 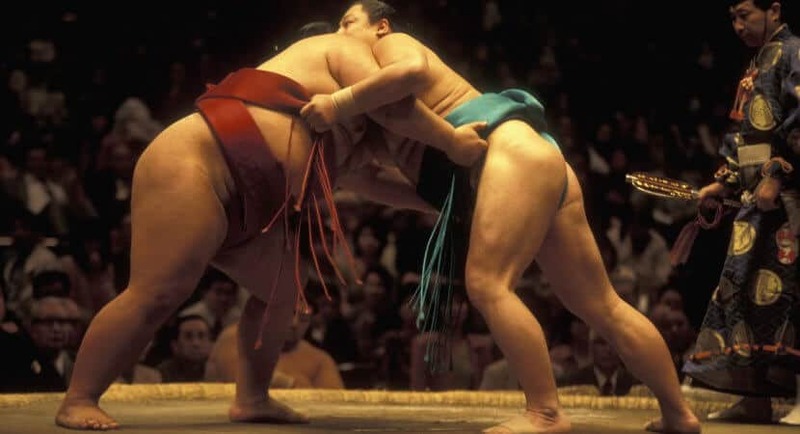 The number of foreign wrestlers increases each year, yet Japan remains the only country where professional sumo wrestlers compete. Sumo has a deep connection to the Shinto religion. It originated as a Shinto religious practice and incorporates many traditional elements. These elements make the sport unique. They also make it a fascinating sight for tourists. Each match starts with an elaborate ritual, directed by the referee. His costume resembles the clothes worn by Shinto priests. 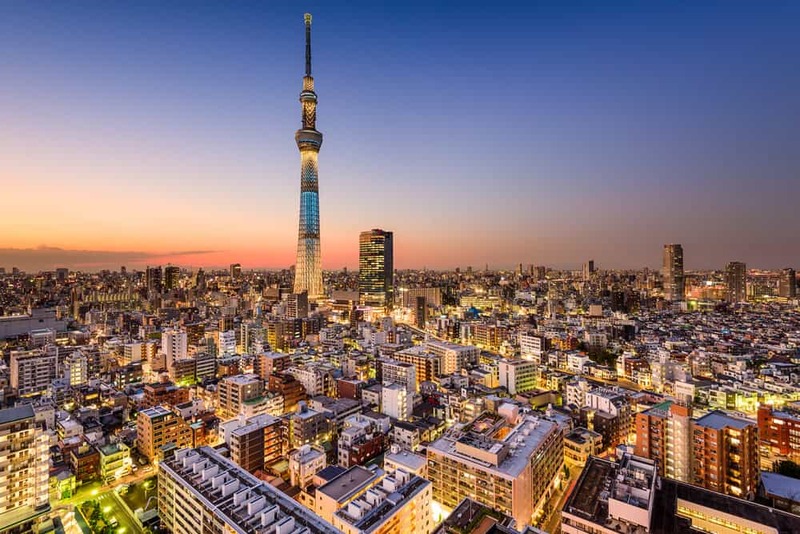 If you visit Tokyo in January, May, or September, you’re in luck! 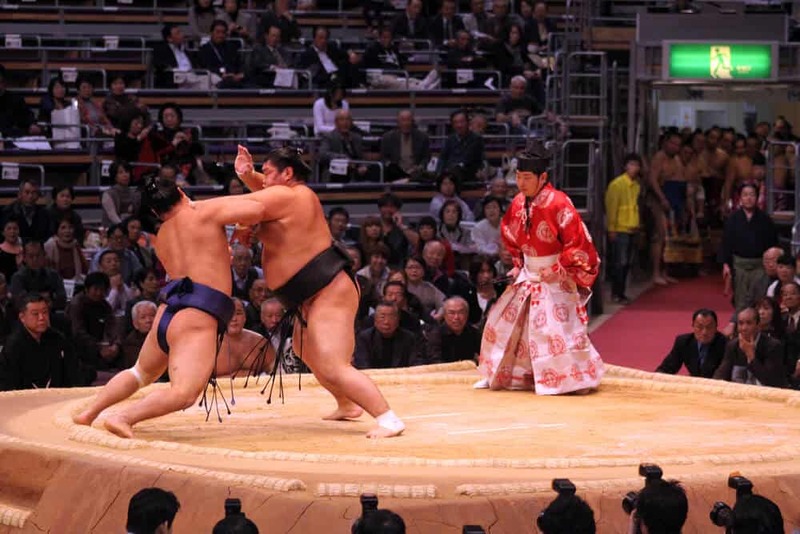 You can catch a tournament in Ryogoku, Tokyo’s sumo center. If you’re not in time for a tournament, don’t despair. You can still come to grips with this exciting sport. Watch the wrestlers train in the morning, or feast on the chanko-nabe popularized by sumo wrestlers. 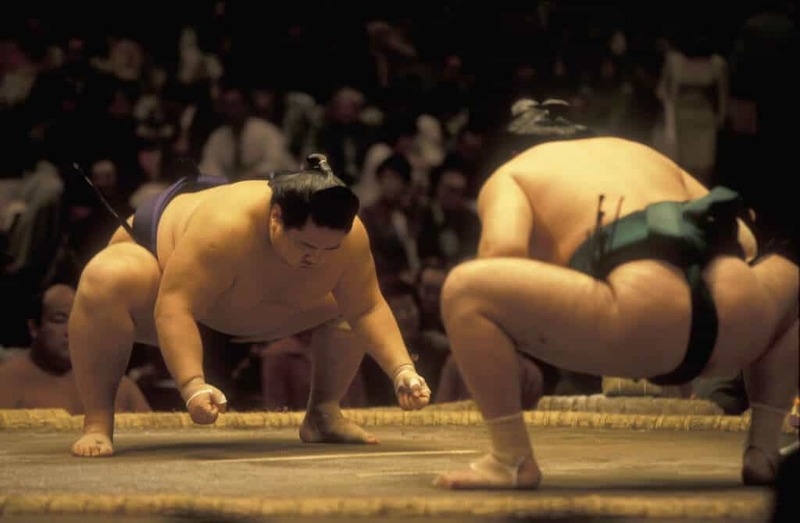 Whichever option you choose, you’ll experience sumo as it can only be experienced in Japan. You don’t have to be a sumo fan to enjoy a tournament. 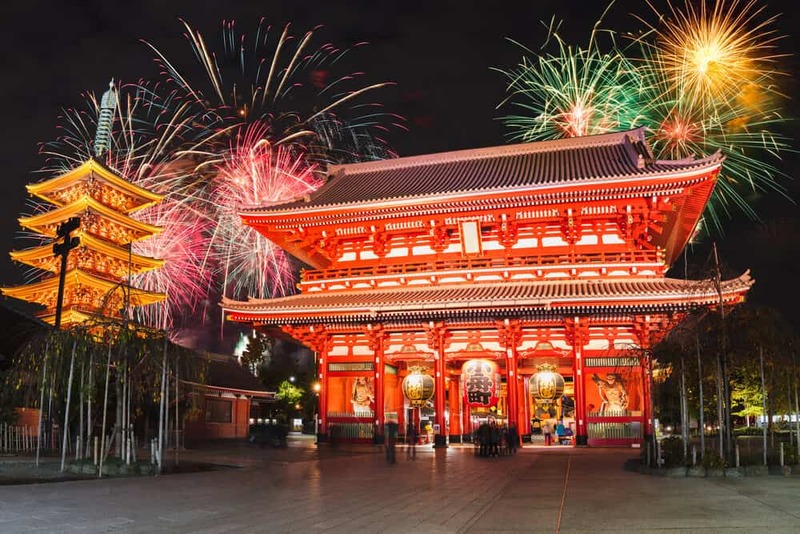 The rituals and traditional Shinto costumes will fascinate just about anyone. Matches are short, intense, and straightforward. The rules are simple. Two wrestlers crouch behind the white lines painted on the ground. The wrestlers thump both fists against the ground and launch at the opponent. Both wrestlers fists must touch the ground simultaneously. To win, a wrestler does one of two things. He either forces his opponent out of the ring or makes any part of his opponent’s body (besides his feet) touch the ground. If a wrestler loses his belt, performs an illegal move, or fails to show up for a match, his opponent wins by default. The referee indicates the winner with a wave of his fan. When a bout is too close to call, rematches occur. A rematch (torinaoshi) basically means the wrestlers start over. 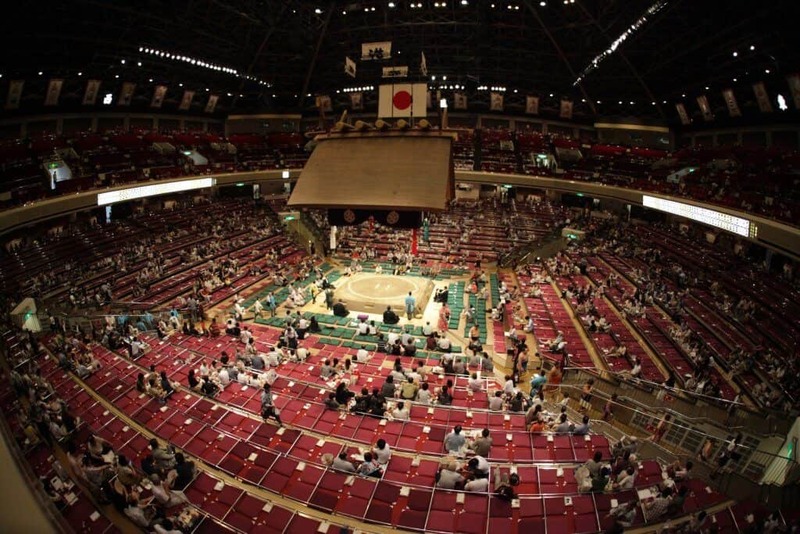 Of the six annual tournaments, three are in Tokyo’s Ryogoku Kokugikan. The stadium was built in 1985 and holds 11,098 people. 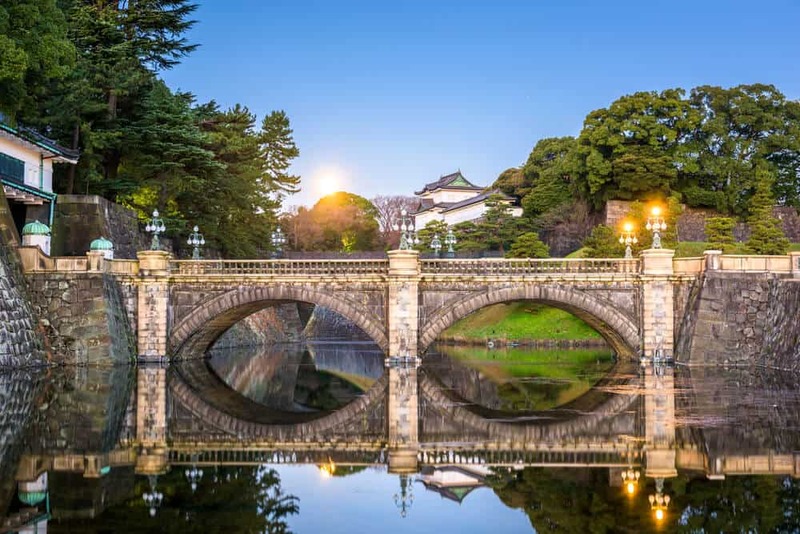 It’s at the heart of Ryogoku, an area associated with sumo since the Edo-period. To preserve the unique history of the stadium and the sport, Ryogoku Kokugikan has a museum. If you’re watching a tournament, a visit to the museum gives you a break from sitting. If you’re not lucky enough to see a sumo match but have an interest in the sport, visit Ryogoku Kokugikan for the museum. Admission is free. 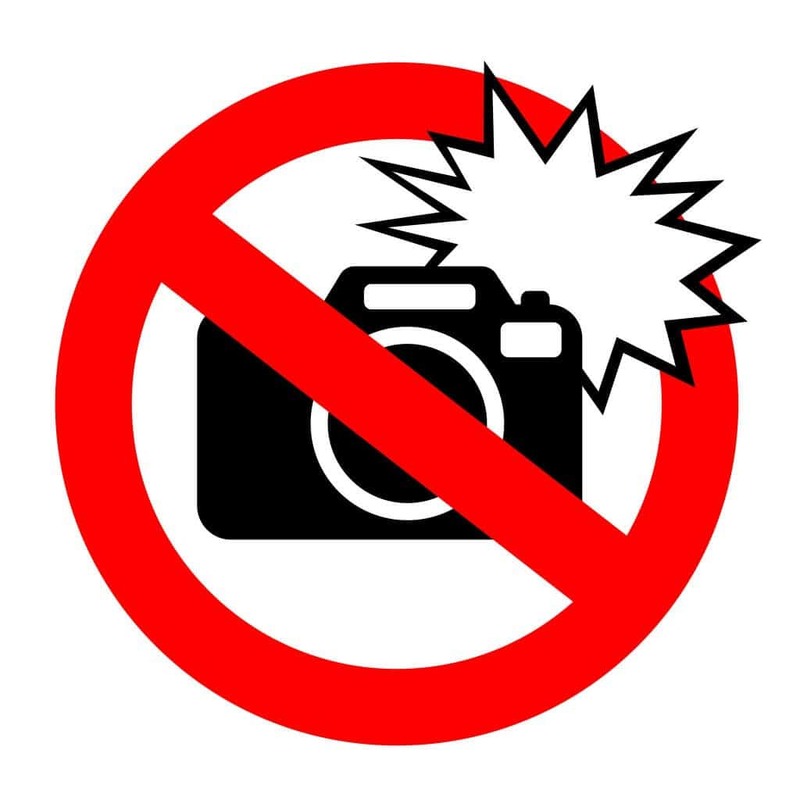 The museum is closed to non-ticket holders during tournaments. You can buy tickets online up to a month before a tournament. The website offers an English option. Demand for tickets gets high on the closing days of a tournament and on weekends. It’s also high on public holidays. If tickets sell out for the day you want to see sumo, get up early and get to the stadium by 6:00am. A limited number of same-day tickets are available. They sell out fast. Same day tickets are for the balcony only. Another option: buy your tickets in advance at a convenience store. In most convenience stores in Japan, there is a little machince inside the store where you can buy tickets for all sorts of events. Unfotunately, most of them don’t have an English option, so you need to understand Japanese to buy your tickets this way. There are three types of seats to choose from: ringside, box, and balcony. The ringside seats offer the best view of the action. They’re also the most dangerous, as it’s not uncommon for wrestlers to fall out of the ring and land on the spectators! Despite the danger and the discomfort (ringside “seats” are a cushion on the floor), these are the most expensive seats. A single ringside seat sets you back 14,800 yen. They sell out fast. Boxes are the next closest seat to the ring. They have a small carpeted square and cushions for four people. Even if you’re the only one using the box, you have to pay for the whole thing — which isn’t a bad deal! You can stretch out and make yourself comfortable. The cost of a box depends on how close it is to the ring. Expect to pay 9,500-11,790 yen per person for a box seat. Balcony (arena) seats make up the majority of the seating. These seats have chairs. Tickets come in different tiers depending on location. Those lower down (with a better view) are more expensive than those at the top. 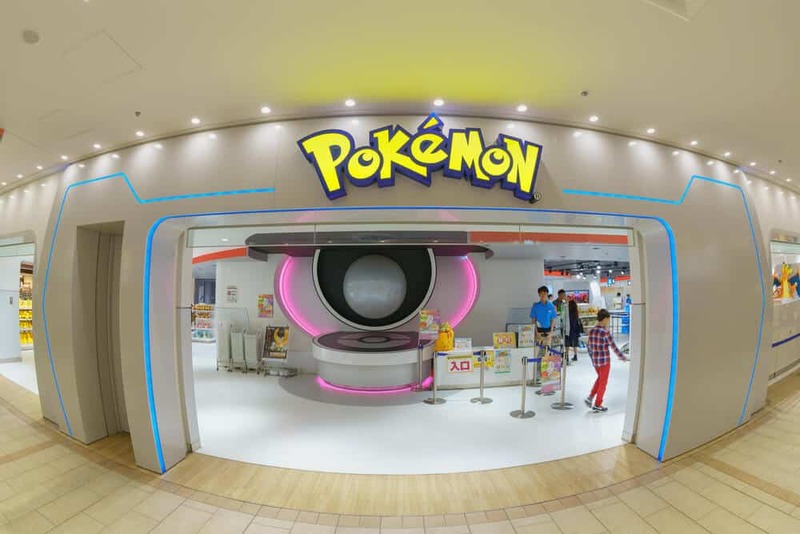 Prices start at 2,200 yen and go up to 8,500 yen. The tournaments start at 8:00am and finish around 6:00pm. Matches occur throughout the day. The younger, lower ranked wrestlers fight earlier in the day. 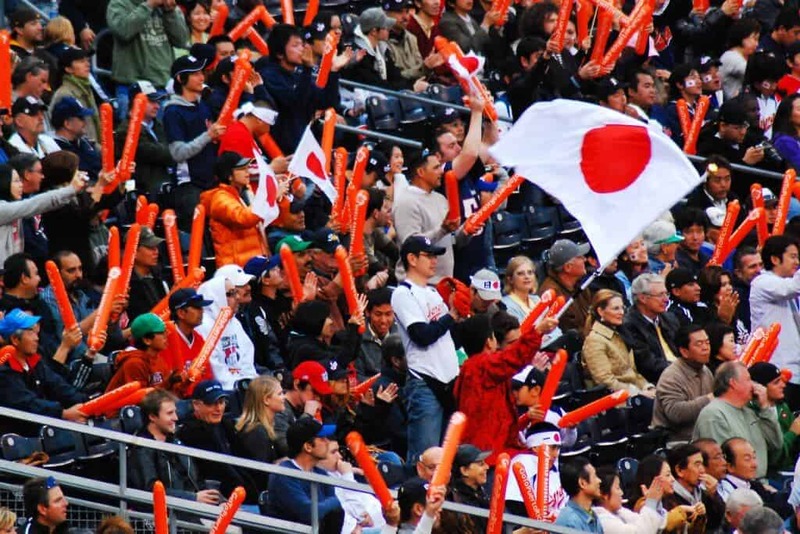 Most Japanese fans don’t show up until 2:00pm. That’s when the matches of the higher ranked wrestlers start. The museum is open from 10:00am to 4:30pm, with the museum shop closing at 4:00pm. Ryogoku Kokugikan is a short walk from Ryogoku Station. The station is on the JR Chuo-Sobu line and the Toei Subway Oedo line. 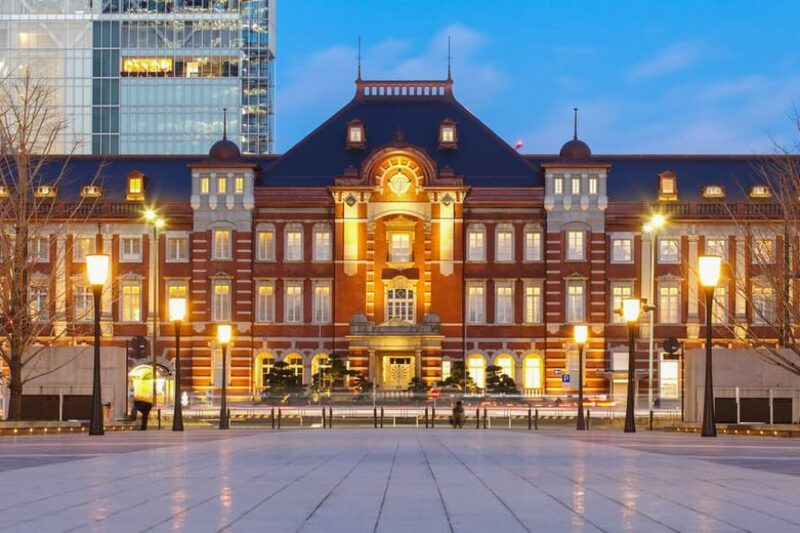 To get to Ryogoku from Tokyo Station takes about 10 minutes and costs 160 yen. 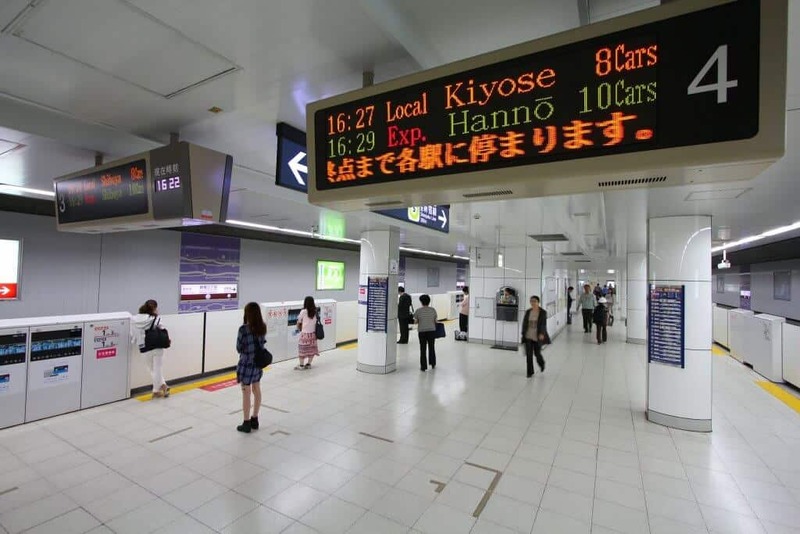 Take the JR Yamanote Line towards Osaki, and get off at Akihabara. Change trains to the Chuo-Sobu line bound for Chiba. Get off at Ryogoku Station. If you miss the tournaments but still want to see the wrestlers in action, there’s good news. Some sumo stables allow visitors to watch the morning training session (asageiko). You can view the training for free from a window outside the training hall. You get up early and stand around. A lot. Still, it’s nothing compared to getting up early and actually doing the training! 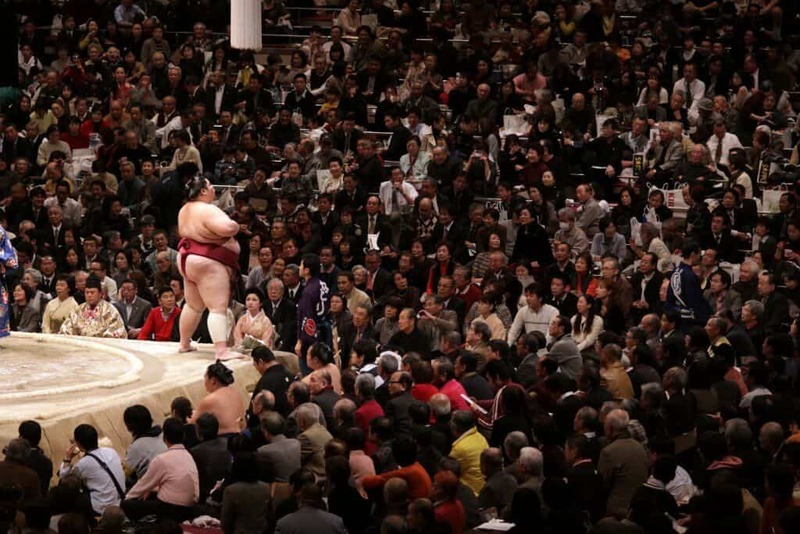 If you’re a big sumo fan, consider a tour. 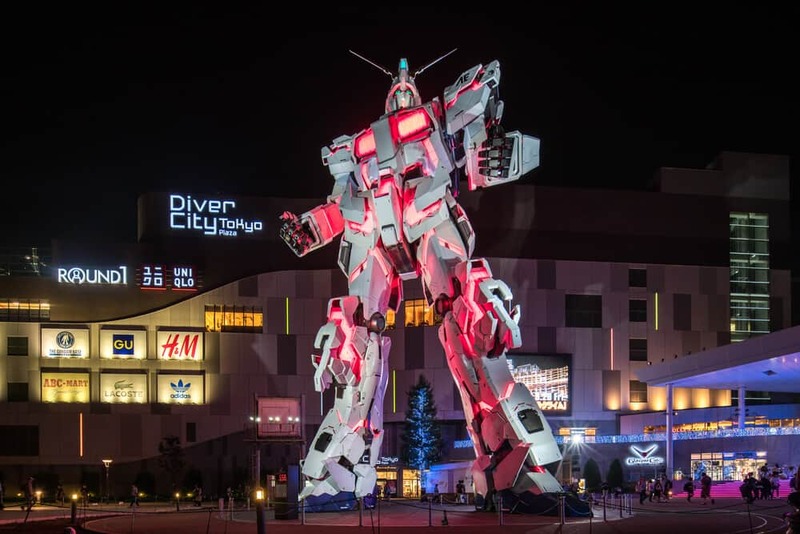 They average around 10,000 yen per person and range from an hour and a half to three hours long. The tours take you inside the stable. You don’t need to speak Japanese. You can book a tour through a travel agent, but several travel sites also offer tours. On these sites, type “sumo” in the search box. 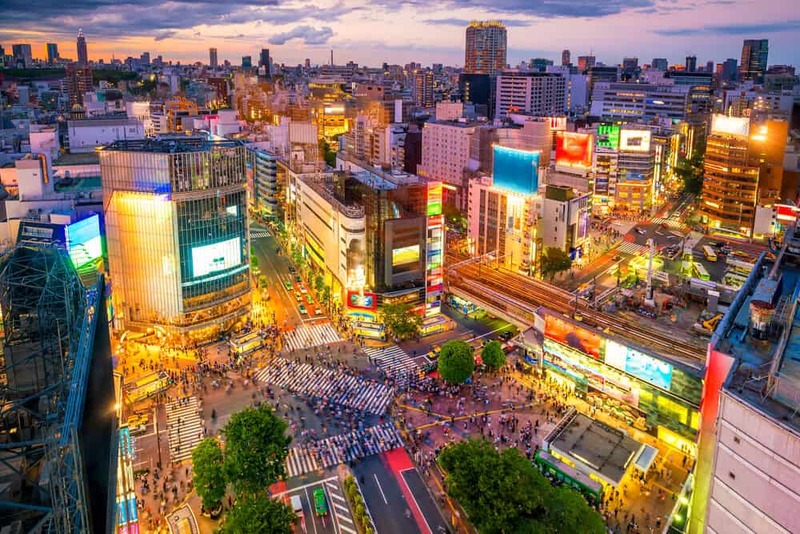 All three offer several sumo related tours in Tokyo. How interesting the tour is depends on your guide. It also depends on what type of practice takes place the day you go. Given these variables, you may not feel the high price tag is worth it. If the price of a tour is too much for you, your best option is Arashio-beya. 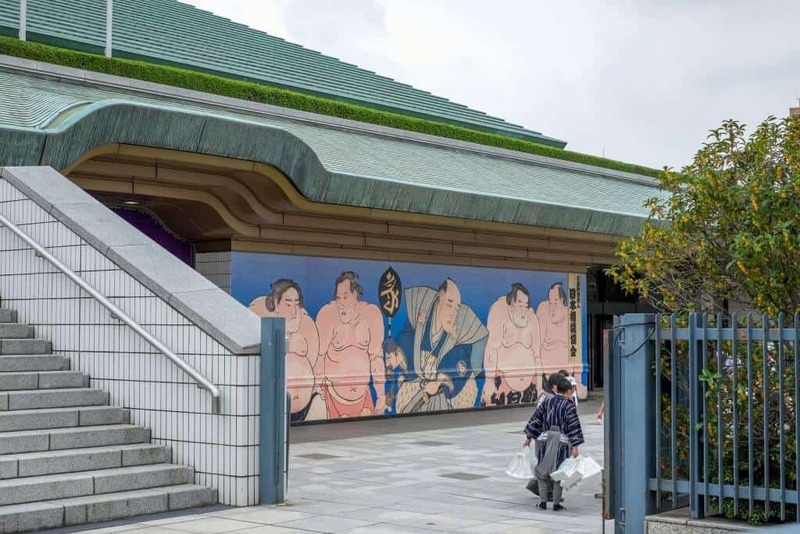 This sumo training stable is the most well known of the visitor-friendly stables. Fans view the morning practice through large windows on a side street. Roughly twelve people can watch at one time. There’s no charge and no reservations. It’s still worth calling ahead to make sure practice will be held before you set your alarm. The training starts at 7:30am. The wrestlers don’t usually train on weekends. Also, the wrestlers take time off from training immediately following the grand tournaments. If you want a better view of the wrestlers but don’t want to join a paid tour, arrange your own. Musashigawa-beya, Kasugano-beya, and Takasago-beya are all friendly towards visitors. To get a full list of stables, visit the official Japan Sumo Association website. You can look up contact information on the site. 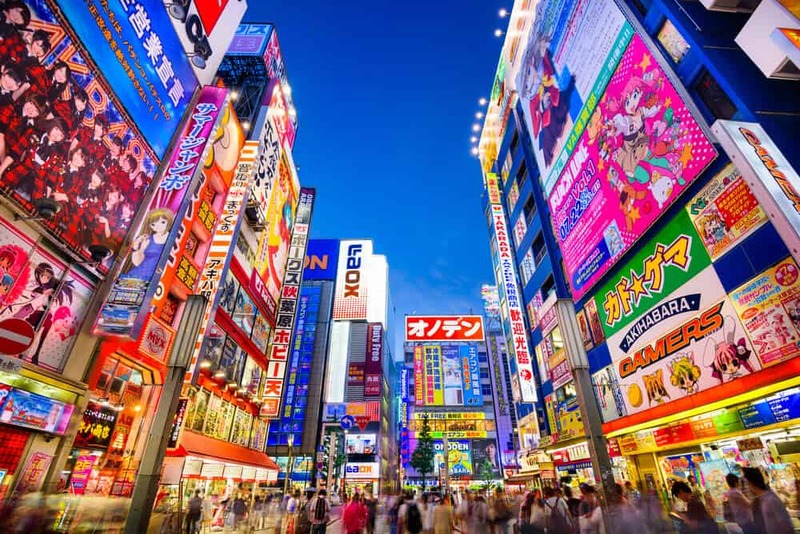 Get a Japanese-speaking friend or the staff at your hotel or hostel to help you. Call the stable ahead of time and ask if you can visit. If they’re agreeable, let them know how many people are coming, and find out what time practice starts. Good manners are very important. The stables aren’t a tourist attraction; they’re where sumo wrestlers train. While most stables are in or near Ryogoku, a few are spread out across Tokyo. You’ll need to find the stable’s location yourself. A useful tool for looking up train and subway routes in Tokyo is Hyperdia.com. 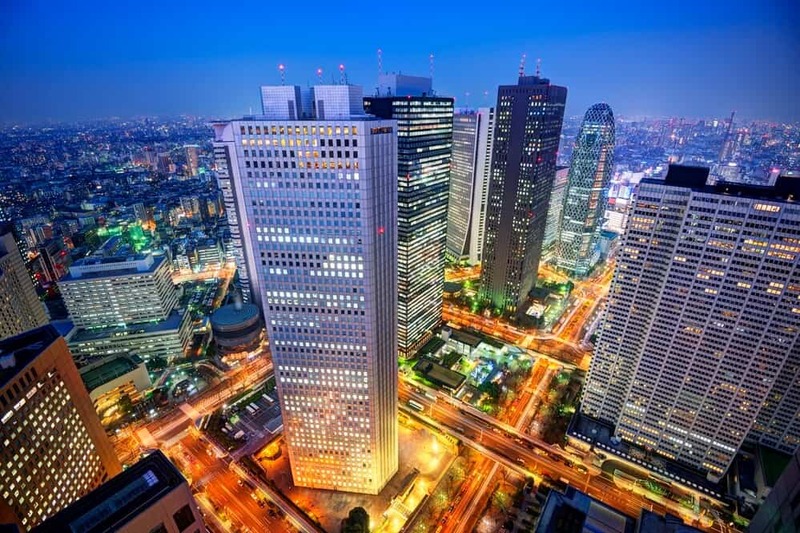 Take the Tokyo Metro Marunouchi Line toward Ikebukuro. 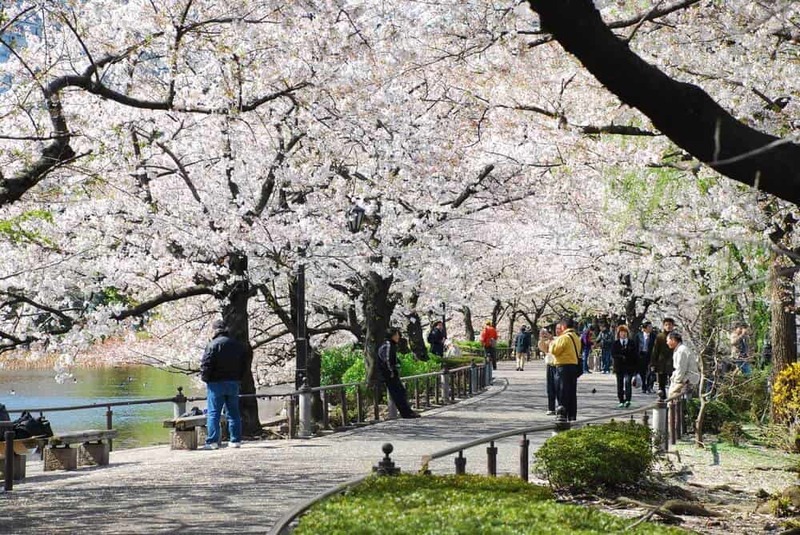 Get off at Awajicho and walk to Ogawamachi station. From there, take the Toei Subway Shinjuku line for Moto-Yawata, getting off at Hamacho Station. Arashio-beya is a short walk from Hamacho Station. 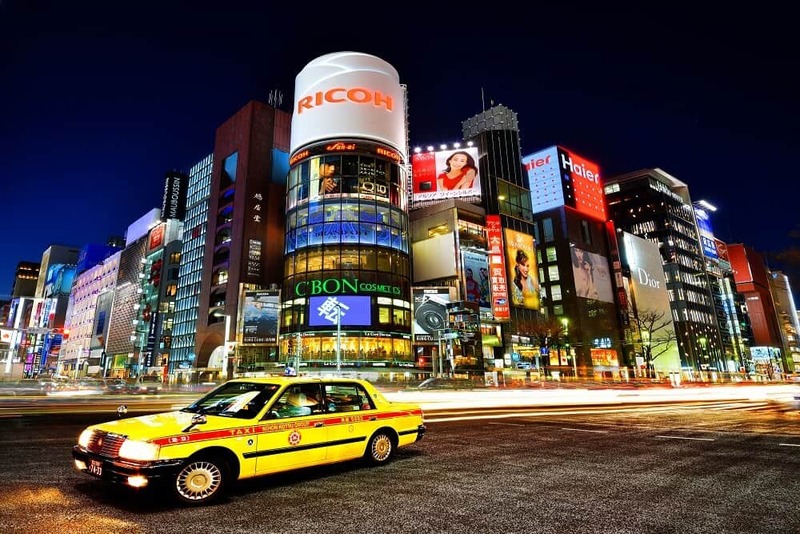 The trip takes about 10 minutes and costs 280 yen. Chanko-nabe is a Japanese style stew. Sumo wrestlers eat it to put on weight. It’s served on a portable gas stove and cooks at the table. Diners take what they like from the dish as it cooks. As the cooking finishes, the chef adds noodles to the stew to absorb any leftover broth. The contents vary according to the diners’ preferences. They also depend on what’s seasonally available. There will most likely be some type of protein (chicken, beef, etc.) and lots of vegetables. While seafood and meat additions are popular in other nabe dishes, only chicken gets added to chanko-nabe around tournament time. Why? A chicken walks on two legs, as does a successful sumo wrestler. 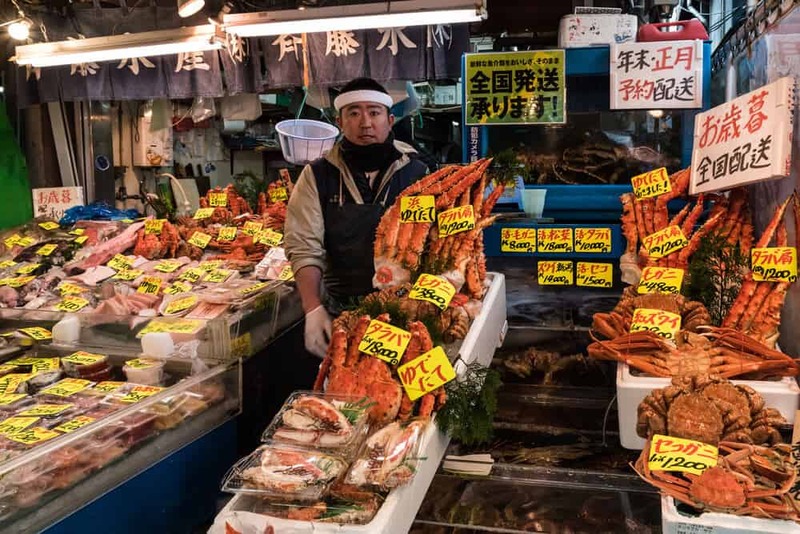 Ryogoku is not only a neighborhood where sumo wrestlers train and eat. Many retire here. Former wrestlers often open chanko-nabe restaurants of their own. The first chanko-nabe restaurant, Chanko Kawasaki , opened in 1937. It still thrives today. You can order off the menu, but the most popular option is the protein-heavy Chanko course. You get starters of grilled yakitori skewers, meatballs made of chicken, and a salad. While you work your way through the appetizers, your chanko-nabe cooks on the table in front of you. After you eat the meat and vegetables of your nabe, the staff use the remaining broth to make a rice porridge. Expect to spend between 5,000 to 8,000 yen for a meal here. 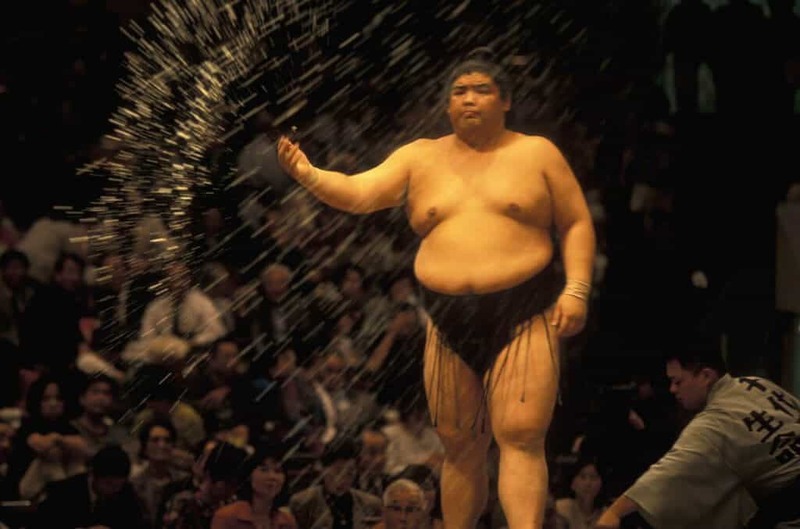 You may not be a sumo wrestler… but after a meal at Chanko Kawasaki , you’ll definitely feel like one! Another great place for chanko-nabe in Ryogoku: Kappo Yoshiba. The restaurant used to be a sumo training stable and still has a practice ring in the middle of the dining area. 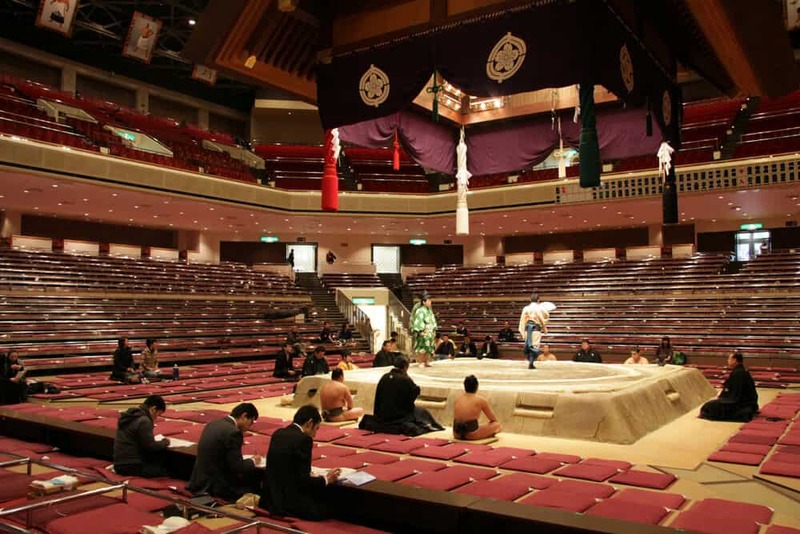 The ring is used as a stage for traditional Japanese music performances. If you miss the morning wrestling practice, come to Kappo Yoshiba. You’ll see former wrestlers singing. You might fall in love with sumo jinku — a type of sumo folk song. The music takes place Mondays, Wednesdays, Fridays, and Saturdays at 7:30pm. Tuesdays and Thursdays, Kapou Yoshiba hosts a shamisen concert at 7:00pm and a piano recital at 8:00pm. The piano recital also happens on Saturdays, again at 8 pm. Kappo Yoshiba is known for its signature jumbo sushi. Don’t miss the lunchtime sushi set. 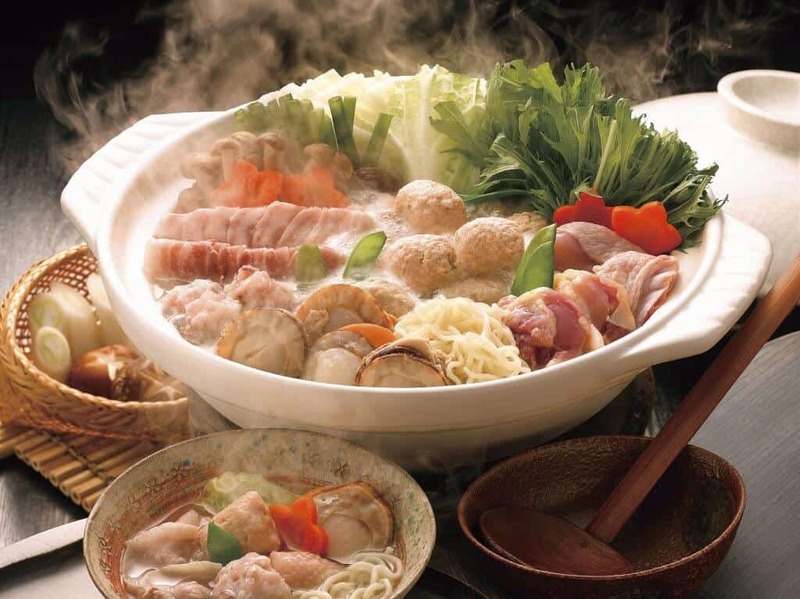 If you’re dining at night, opt for the chanko-nabe — 5,200 yen for a two-person meal. If you can’t get to Ryogoku but want a taste of the sumo experience, try Chanko Nabe Ryogoku Shinjuku Gyoen-Mae. They offer authentic chanko-nabe close to Shinjuku Gyoen Park. The restaurant is owned by a former wrestler. He loves to make appearances and chat with patrons. Yes, especially during tournament season. 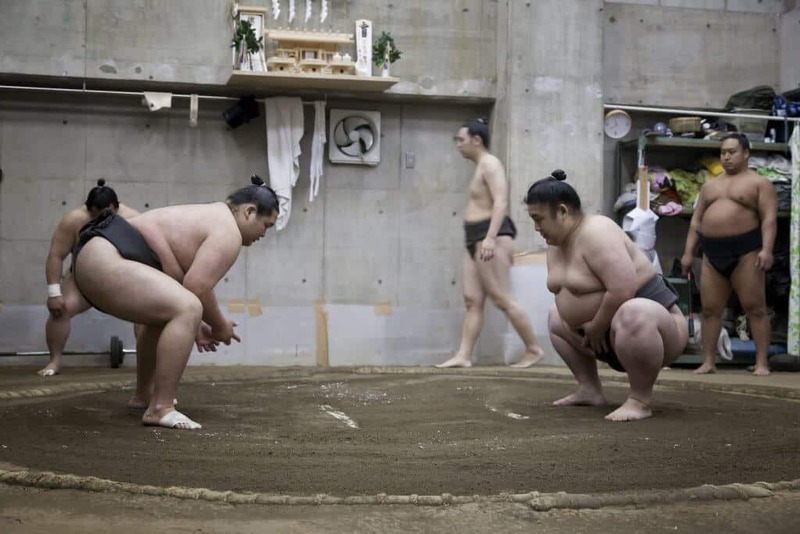 Even if you’re not a sports fan, the ritual aspects of sumo will fascinate you. Be sure to check it out if you can! If you go to a tournament, rent a radio with English commentary for 100 yen. It’s worth it. You get a much better understanding of what’s going on. Have you been to a sumo tournament? What did you think? Have you tried Chanko-nabe? Want to tell us about it? Don’t forget to share this article with your travel buddies. They’ll thank you once they experience sumo. There’s no sporting experience quite like it.